Marquees you can use in all weathers. A choice of semi permanent marquee designs. In the past, marquees were generally reserved for the summer season. They were great wedding and summer party venues. But, when the weather changed, it was usually time to take them down. However, over the last six decades that we’ve been in the business of manufacturing marquees, there have been numerous technological developments that means marquees have become more permanent structures. 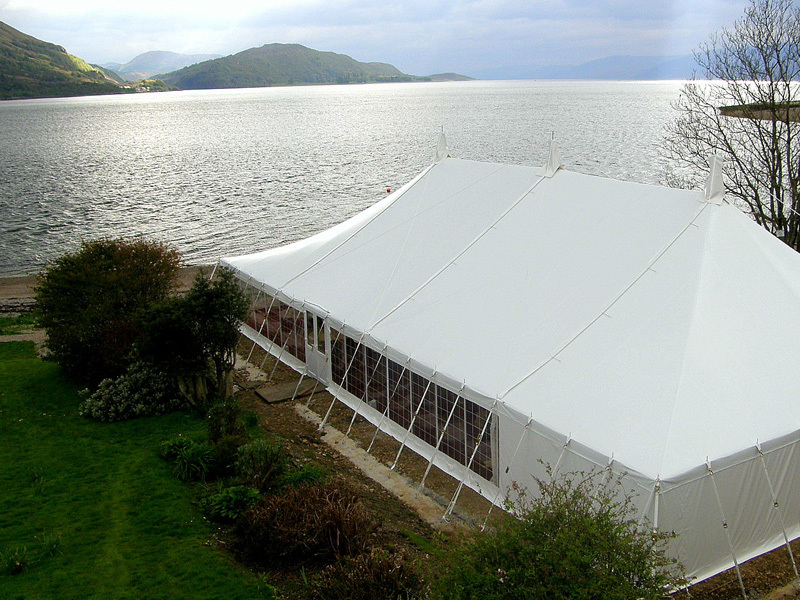 These days, a marquee is a suitable option for almost all weathers, and once erected, can stay there for years as a semi-permanent marquee structure. With better quality lining and flooring, marquees are harder wearing than they have ever been. However, it’s the use of heating systems and air conditioning that have made marquees more semi-permanent. Even if it’s freezing outside, with a good quality heating system, you can turn up the heating and still hold your event inside. Here at Weatherill Brothers, we’ve been at the forefront of Marquee development over the last 60 years. With each new development, we’ve seen marquees become tougher, and with our manufacturing expertise, we’ve strengthened our frames and linings to match.